A new pre-construction project is on its way to one of uptown’s most central areas, Lawrence Avenue West. The stacked townhome development is perfectly located near Toronto's Lawrence West subway station, and will be ideal for new families. Midtowns On The Subway has an anticipated occupancy date of 2021. The development is a pre-construction project from Wycliffe Homes that will be perfectly suited to any lifestyle. The project will sit at 713 Lawrence Ave W, with 84 units included. The buildings will be almost 12m high, and span three storeys. Starting prices are currently in the low $500,000’s. Investors would be bright to keep an eye on these impending homes that are bound to attract a variety of residents who will want to make the most living right by the subway line. The development’s prime location promises to provide seamless navigation into Toronto whether travelling for entertainment, work or even school in the city. Wycliffe’s urban townhomes designed by SRN Architects won’t disappoint. The modern community complete with a mix of brown brick, glass panels and expansive windows will be a welcome addition the the neighbourhood, and stand out due to its fresh design. The development will include a total of 5 buildings designed by SRN Architects, spanning from 713 to 723 Lawrence West. The project will be 11.6m high and house 84 units, with prices starting from the mid $500,000's, and they are all two-bedroom units. It looks as though the development will boast parking, as well as a rooftop terrace complete with green space. Residents can also expect to have parking spaces available to them. The minimalist, modern exterior of the townhomes helps it to stand out in the neighbourhood, and add a breath of fresh, updated design. The stunning and balanced aesthetic of the project is eye catching and is a great representation of the modern, luxurious lifestyle residents can anticipate. 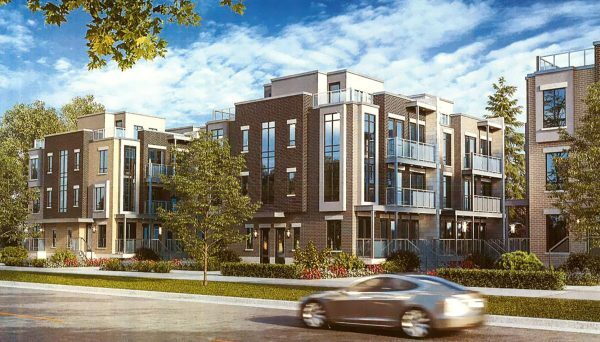 This development is perfectly located the Yorkdale/ Glen Park neighbourhood, steps away from the Lawrence West subway station -- four minutes to be exact. Whether you’re headed to work, school, a day adventure in the city, this location is ideal for anyone commuting uptown or downtown. It’s really no question why it achieves an impressive walk score of 82 out of 100, and a transit score of 86 out of 100. The location is stellar for business professionals commuting into the city to reach central working hubs like the Financial District and the Entertainment District. Really, at this location anything is reachable on the subway. Drivers will also enjoy being nearby HWY 401 via the Allen Rd. Students will also be able to make the most of the location. With the help of a roommate, they will comfortably be able to share a unit and enjoy being nearby the subway station which promises to make early morning and late night clases no object. Major universities like Ryerson University, The University of Toronto and OCAD will all be easily accessible from the subway line. In addition, the York University campus will be seconds away due to the extension. The ability to travel around the city is only one of many incredible things about this location. The neighbourhood is also packed with food and drink options for weekday dinner dates and weekend excursions. Coffee drinkers will love the convenience of having Zaza Espresso Bar in walking distance, perfect for grabbing on your way to your daily destination. Groceries are also a hop skip and a jump away at Fortinos, as well as Shoppers Drug Mart. 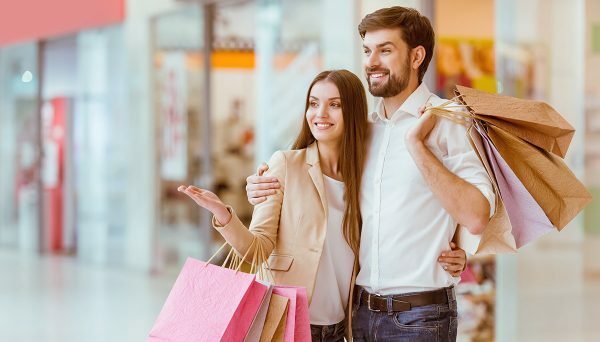 Shopping in the area is also superior, with Yorkdale a five minute drive and 10 minute subway away -- so really, take your pick of mode of transport because regardless you will be at the hub for high fashion and food in a matter of minutes. Take a stroll through the mall and visit high end stores not limited to Michael Kors, Gucci, Holt Renfrew, and Nordstrom -- and top off your day with dinner at Joeys or lunch at the delicious and extravagant Restoration Hardware cafe. The cherry on top? There is no shortage of arts and culture in the neighbourhood, as both Joseph D. Carrier Art Gallery and Trellis Gardens are closeby, making the perfect option for some weekend downtime. Speaking of weekend downtime, parks are also plentiful in the area, ideal for picnics or scenic stolls. Nearby parks include Conlands Parkette, Wenderly Park, Dane Parkette, and Fraserwood Park. Investors will want to make note of the family friendly nature of the development, as young families are bound to flock to the neighbourhood packed with parks, culture and schools such as St. Charles Catholic School. Wycliffe Homes is one of the Greater Toronto Area’s most long standing builders. They have an impressive 60 years of luxurious developments under their belt, and are responsible for over 10,000 homes in the past 6 decades. Their projects have stood the test of time, reaching over 100 Ontario communities.